WE ARE NEW. WHAT’S THE BEST WAY TO CONNECT INTO LA SALLE STUDENT MINISTRY? We have an AMAZING host team that is ready and excited to welcome your student to youth each time we gather. We know how intimidating it can be to come for the first time. But we will connect your student with a leader, get them plugged into a small group and make sure they have an amazing time! We are radically inclusive. We consider every student who walks through our doors to be family. We believe that no one was created to do life alone. We chose love as our primary ethic and extend the same grace Jesus gave us to everyone who walks through our doors. We will try our best to make sure your child feels at home. 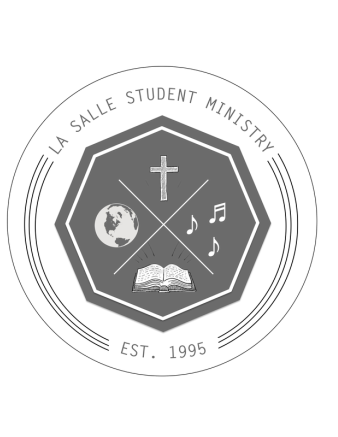 AS A PARENT, CAN I COME CHECK OUT LA SALLE STUDENT MINISTRIES? When you drop off your child at one of the programs, you are welcome to come into the church building and our leaders would love to connect with you and show you what we are up to for that specific evening. Join us for a Sunday Morning worship experience (10:30am, every Sunday), ask for Pastor Steve at the information booth in the foyer and he would be happy to help familiarize you with the student ministry and the church. We know the influence of your home on your student is greater than the influence of our programs. We recognize this and desire to partner with you in every area of your child's life. We desire to see your student come to know Jesus and to live an adventurous life in pursuit of Him. We'll support your student in the difficult teenage years and will continually point them towards Jesus. We are led by Pastor Steve Bock, and a dedicated volunteer team from the LSCF community. Our team has volunteered to work with your student because they themselves have experienced the life-changing love of Jesus Christ and desire to share it with everyone they meet! All of our leaders have completed a Criminal Record Check with Vulnerable Sectors Verification. All of our leaders have completed Plan to Protect training, the highest standard of abuse prevention and protection to organizations servicing the vulnerable sector. WHAT IS THE BEST WAY TO GET UPDATES ON WHAT IS HAPPENING? Register your child in the program. Even if your child isn't able to attend right away, registration will get you onto the email list which will keep you up-to-date on the latest event details. Visiting the program pages above ('Grade 7-8' & 'Grade 9-12') can get you signed up for regular text messages. Follow us on our social's below.